. إن الخدمات التي يقدمها راديسون هوتيل آند سويتس، سيدني تضمن للنزلاء إقامة مريحة. يمكن للنزلاء الاستمتاع بالميزات التالية: واي فاي مجاني في جميع الغرف, خدمة التنظيف يوميًا, خدمات بريدية, خدمة سيارات الأجرة, مجهز لذوي الإحتياجات الخاصة أثناء إقامتهم في هذا المكان الرائع. تنعكس أجواء راديسون هوتيل آند سويتس، سيدني في غرف الضيوف.تلفزيون بشاشة مسطحة, قهوة فورية مجانية, شاي مجاني, بياضات, مناشف هي بعض الميزات الموجود في العديد من الغرف. يقدم الفندق العديد من الفرص للاستجمام كمثل مركز للياقة البدنية, ساونا, مسار جولف - ضمن 3 كم, حمام سباحة داخلي. إن كنت تتطلع إلى إقامة مريحة وهادئة في سيدني، فستجد في راديسون هوتيل آند سويتس، سيدني بيتك الثاني. يرجى صف السيارات في ساحة انتظار five-minute التي تقع في 352 شارع ساسكيس، بسيدني وإعلام طاقم العمل عبر الهاتف بوصولك، ثم اتباع العلامات للوصول إلى مكتب الاستقبال. Walk 1 min to china town, 3 mins to town hall, 10 mins to darling harbour, and lots of restaurants ard. Spacious and clean room with nice staff. Only complain is the soundproof, can hear the toilet flushing sound from next room. If you are looking for a good location, the Radisson Hotel and Suites has it. However, due to bicycle lanes, it is difficult for taxis to stop in front of the hotel, which makes it inconvenient for loading and unloading of baggage. The staff is great. The studio rooms are large and comfortable, albeit the kitchen lacks any cooking utensils. The fitness room has seen better days and the buffet is adecuate, albeit not what I expect of a Radisson. 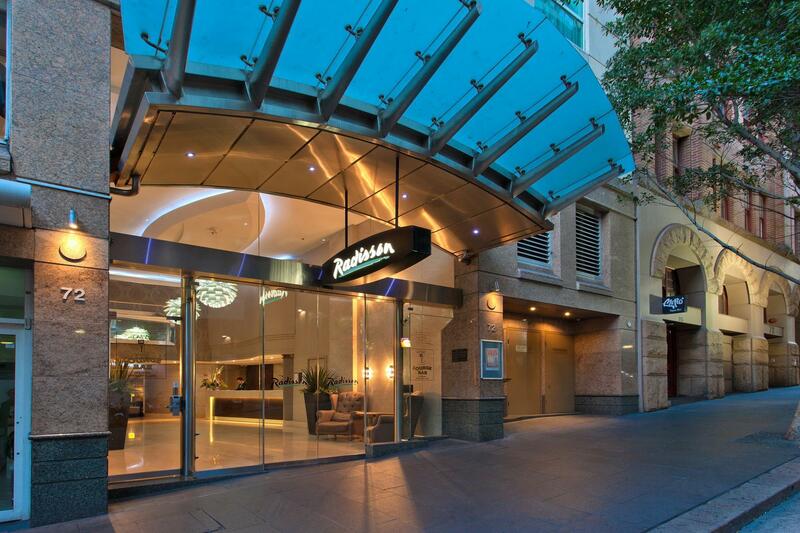 The Radisson apartments are so convenient and comfortable, plus they are close to Darling Harbour, shopping spots, cafes and Hyde Park. With friendly and helpful staff, this was great value for money. Three nights in one bedroom suite. Appreciated early check in after arriving early and that our request for a quiet room granted. Bed not made first day, but room had been cleaned. Cleaning not good, handprints on the fridge when the light shone on it and spilt moisturiser on floor and wiped up and appalled how dirty the tissue was and how much hair came off the carpet with it. For the level of room and hotel would have expected a lot better. Breakfast included and expect certain standards for the Radisson. Bacon should not have fat or oil sitting on top of it and should not be sitting in fat. Bacon overcooked and of very poor quality, mostly fat not meat. Scrambled eggs also had fat or oil sitting in pool on it. Resupply not good, bacon ran out 50 minutes before end of buffet and not replaced and took 18 minutes after asking. Staff poor and lazy, leaning from bar with coffee rather than coming to table. Table sticky and I wiped with serviette and had food on it. Centrally located, spacious studio room with a small kitchen and 5 mins walk to Townhall Station which connects you to International Airport and many tourist attractions. Walking distance to Darling Harbour, CBD, Chinatown, St Mary’s Catheral, Hyde Park, and Opera House. We did not take breakfast at the hotel but there are many restaurants and food outlets within walking distance. BBQ King Restaurant just besides the hotel, serve good authentic Chinese food such as roasted pork, chicken, duck and many other Chinese dishes. Marigold Restaurant at 683 George Street serve delicious Tim Sum. Thanks to the friendly and helpful reception staff and we enjoyed our stay there. Pros: good breakfast buffet. Close to big bus hop on hop off. Many asian eating places nearby, japanese, korean, chinese. Good thai massage shops nearby. Close to Museam train station, world square and paddys market. Used uber from hotel to airport $46 AUD. Hotel held luggage after checkout as we had late evening flight. Cons: maid missed cleaning our room on last day of our three day stay. We were checked in early and they upgraded us to a one bedroom suite. Friendly staff. Spacious Suite with very comfortable bed. Quiet, clean and tidy. Great Location. Would recommend and will definitely stay again. We stayed in the one bedroom suite, equipped with a small kitchenette. Place was clean. Slightly outdated bathroom but clean. Wifi connection was 'okay' when working; for some reason I could not use it at all at night. The buffet breakfast was great! Highly recommend and great value if booked with the room. What not to like...central location to CBD, shopping and food. Easy check in and out services. Spacious room even with the additional bed in the living room. Even able to roll out the yoga mat to do my exercises in the morning. Fully furnished and modern kitchen. House keeping had an eye for detail. Great holiday. Look forward to staying here again. This was a good priced hotel near Darling Harbour and was also close to some great looking Asian eateries. The gym did not contain that much equipment but I still managed a good workout. The breakfast was standard buffet style. The reception staff were very friendly and helpful. The bed was comfortable. Overall a pleasant stay whilst on business. The standard rooms are excellent. I was able to check in (only luckily) at 11:30am. This was simply wonderful of the staff to do. It meant i could quickly settle and head out into the city. Close by to China town for great eats. Kitchenette was a bonus and staff were so lovely. The pool and spa and an added feature. Used everyday. Would highly recommend the stay. Location near Chinatown, Paddies Market, World Square. Many eating places walking distance. Took train from airport to museum station then used Uber to get to hotel which was only 2-3 blocks away but with lugguge needed transport for the short ride. Only issue was maid missed cleaning our room one day. Breakfast was good with good variety. A good hotel for a business trip. Everything works, and the rooms are comfortable. Good access to China town so lots of interesting and value for money food around. Would stay again (if it was cheap enough!). Sydney hotels have a poor reputation but our stay at the Radisson Hotel & Suites Sydney disproved that. The room/suite was excellently appointed with clean modern amenities while staff were helpful. 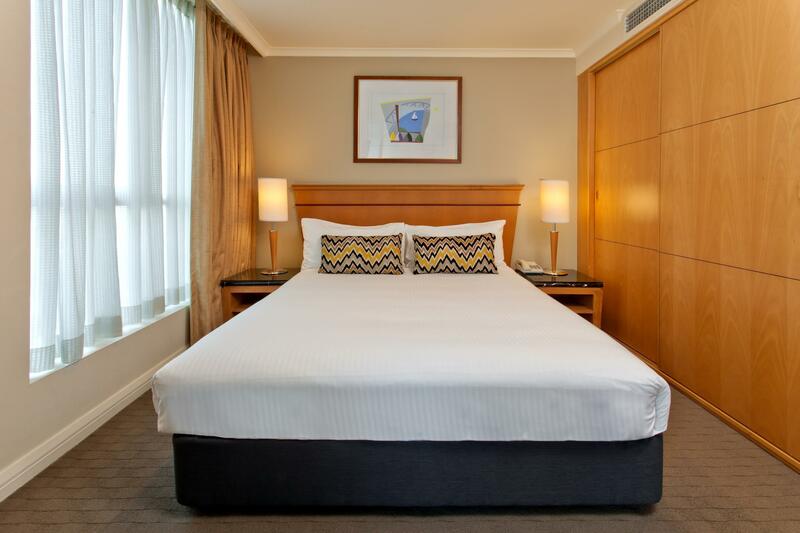 For our needs (being close to Darling Harbour) the hotel was well situated while its compact layout - restaurant, gym and pool all on the first floor meant no long treks from amenity to amenity. Thoroughly recommended. I was made welcome from the minute I walked in the door. The service was attentive and nothing seemed to be a trouble to the staff. 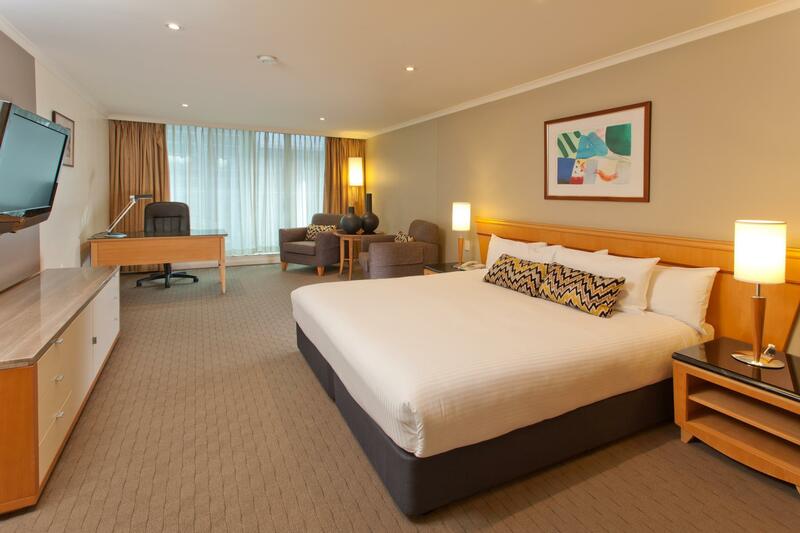 Th location is close to Chinatown, Sydney Town Hall and major shopping centres. Cafes close by have great coffee and food at reasonable princes. The variety of authentic Asian food available within a block or two would satisfy anyone. This hotel provides a welcoming retreat within the heart of busy sydney. beautiful, clean rooms great service. if you have a car parking is a bit of a issue, as you leave the car at the front of the building and then the staff move the car to another location and park it for you. which is not such a big deal although if you have to leave in the morning or if you forget something in the car and want to get it is a half an hour wait as the road is only one way. rooms had balconies so you did not feel claustrophobic.